I am a very patriotic person, so I always love to show my American colors. When I was a kid I had a special American flag bead pin that I would wear for all of those great patriotic holidays. I actually made it when I was in 5th grade. It was the craft that we made at our class slumber party. Yep, at our school every 5th grade class got a chance to have the school for a night for a sleepover. There were fun things that we got to do all over the school and the American flag bead pin was one of the activities that the parents planned for us. 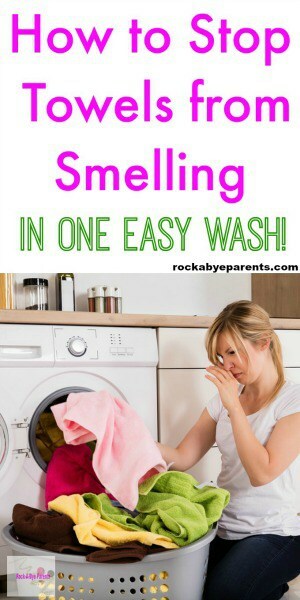 I actually went to find mine when I was going to do this blog post, but I was bummed to find that it seems to have gotten lost over the years. I have a new one to wear now though! 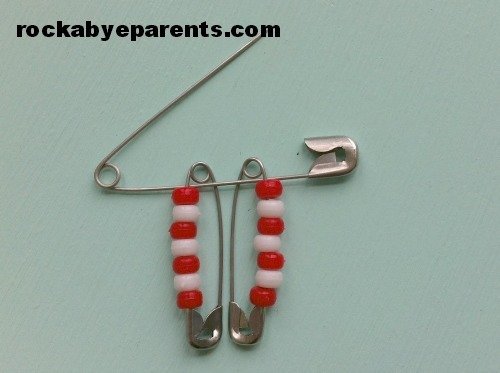 Making this pin is pretty easy so a lot of kids can do it. It would be a great activity for one of those, “I’m bored,” points right now with the 4th of July coming up. It’s amazing how fast kids can get bored! 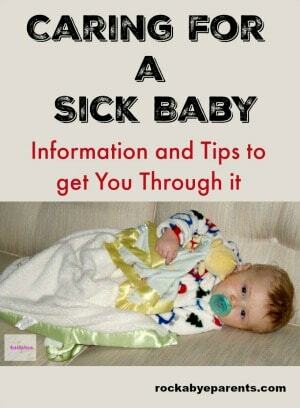 The only thing you have to be careful about is any fingers getting poked with the pin. Oh, and watch those beads. They love to fall off when the pin is open. The nice thing about this craft is that it requires very few supplies. 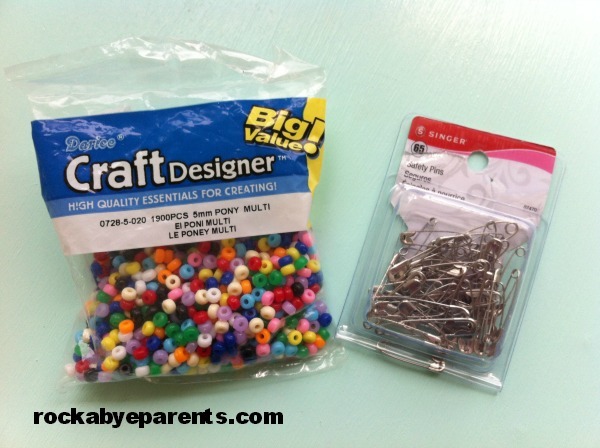 All you need are different sized pins plus red, white, and blue beads. I was able to find all of the items at my JoAnn store and it didn’t cost very much either. Of course this project can be really cheap if you already have many of the items at home. Putting the flag together is pretty easy. I started with the pins that contain the blue beads, but it doesn’t really matter which pins you assemble first as long as you put the beads in the right order on the pin and that you hang the pins in the right order. First you need to put the beaded pins together. You’ll have three pins that contain blue. For those pins put on three blue beads, a white, a red, another white, and then another red. After that you’ll make four pins without any blue. For those pins you should put the beads in this order: red, white, red, white, red, white, red. Besides putting the bead pins together the only other step is to hang them from the larger pin. You want to hook them with the bottom end up. They should be hooked over the side of the pin that doesn’t open. You can either clasp the pin over the side of the big pin, or you can clasp the bead pin first and then slide it around the big pin when it’s opened. That’s it! 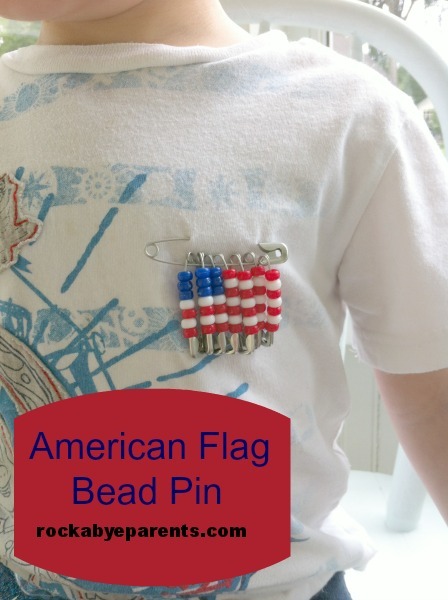 You, or whoever made it, now has a fun American flag bead pin that can be worn on the 4th of July. Show that patriotic spirit! 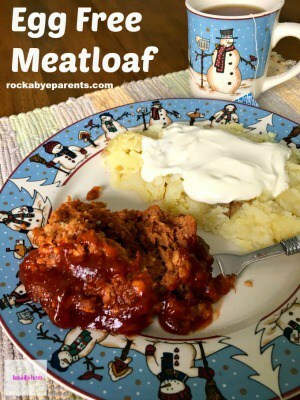 For more great 4th of July ideas check out my Pinterest board! 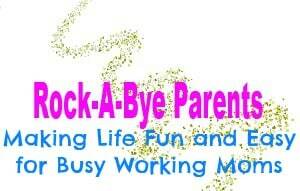 Follow Rock-A-Bye Parents ‘s board 4th of July on Pinterest. This is adorable Elizabeth. My kids would love to make these and wear them proudly. These would be fun to give to friends at 4th of July festivities. 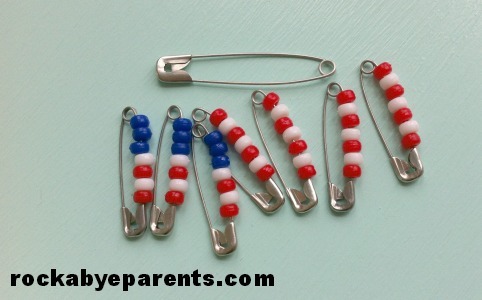 A nice patriotic crafty activity. It looks pretty simple just the way I like it. Thanks for sharing on Creative Style.